Given below is the list of Top law colleges in Pune 2019. 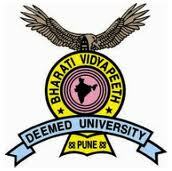 LLB Colleges of Pune are counted among the finest colleges for law in India. Strongly rooted in traditional values and intent on excellence, these institutes are known for their vibrant student community. Some of the best law institutes in the city include Indian Law Society, Symbiosis Law School and Department of Law of the University of Pune. Law admission in Pune's colleges is based on CLAT, Symbiosis Law Entrance Test (SET), BVP Law Entrance Test, AIELT and AIBE. Browse all the information you may need about the Top 10 Law Colleges in Pune 2019 for LLB and LLM.